Have you had those moments when your head is saying one thing but your gut is screaming another? 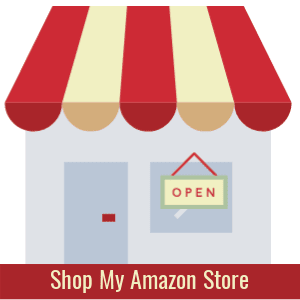 Did you choose to go with your head but soon learned you should've listened to your gut? 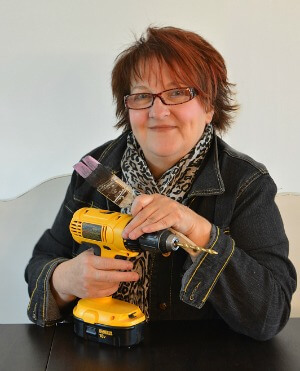 Yeah, that's the story behind today's furniture makeover. My head said being a kids' rocking chair I should paint it a clean and fresh pastel color and stencil a cute butterfly, and that's where I was heading. 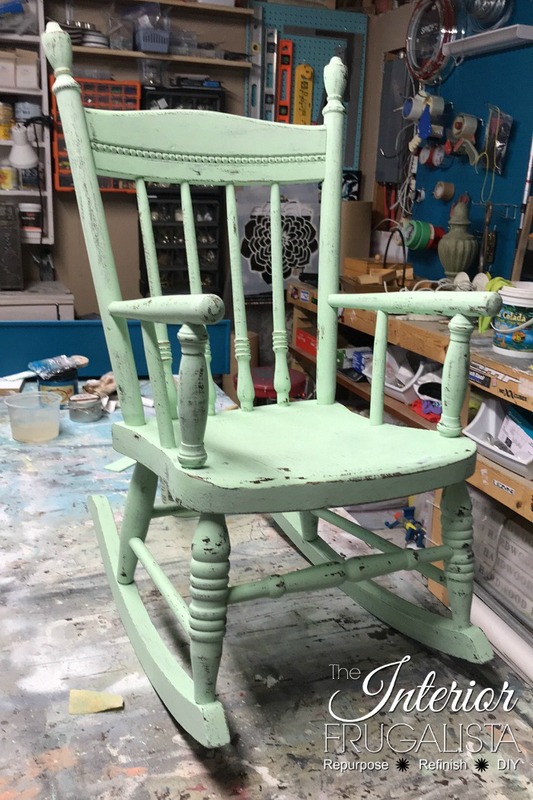 I started the makeover with one coat of Pistachio Mint chalk paint, leftover from the MCM Dining Hutch I painted for a client. 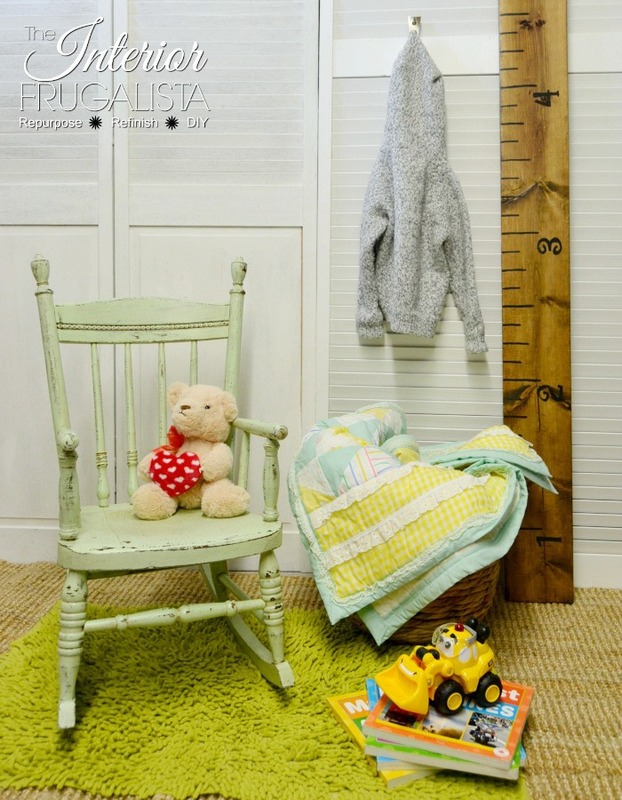 Mint is a very popular color these days for a gender neutral nursery. Happy with my color choice, I was even happier with the dark wood showing through the paint. But let's backtrack a minute before I go further. 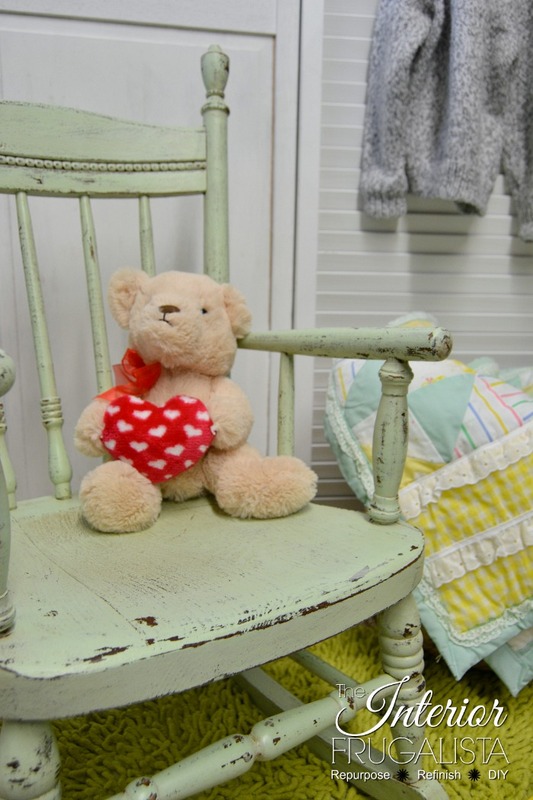 This is what the vintage rocking chair looked like before. I've been saving it for my grandson for a few years. 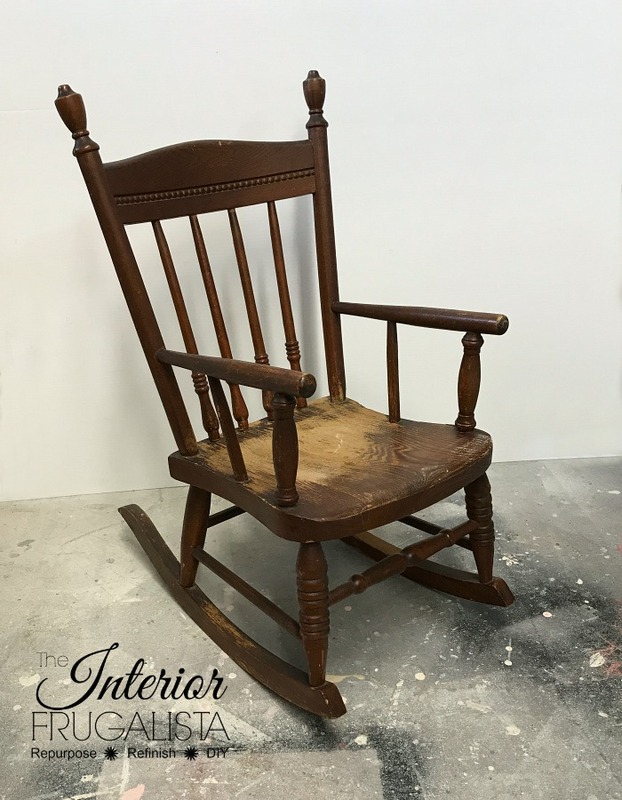 My gut was screaming to stop at the first coat and give this children's rocking chair some farmhouse charm. But I'm a stubborn old mule and my head already had a plan. Besides, on my workbench was that adorable butterfly stencil just waiting to happen. So I added the second coat of mint chalk paint and called it a day. The next morning I went downstairs...ahem...with sandpaper in hand and the paint wasn't coming off easily. Way too much work for this old gal, I grabbed a pail of warm water and an old rag and went crazy with the wet distress method. And I liked it...I liked it a lot! I could have saved myself a ton of work had I listened to my gut in the first place. Next, I started to apply white wax when my gut said nope. Listening this time, I grabbed a jar of Daddy Van's Van Dyke Brown dark wax and it looked much better. 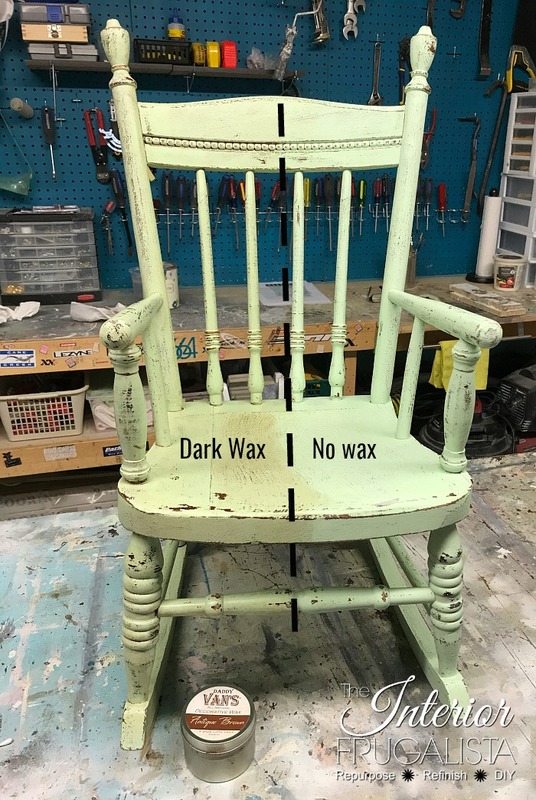 In the photo below you can see the difference between no wax on the right and dark wax on the left. 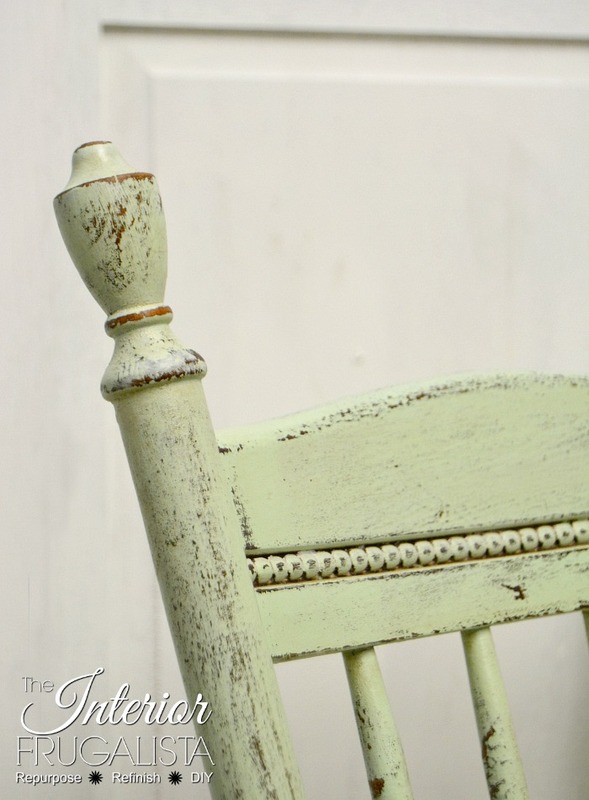 It gives the paint a lovely aged appearance, suitable for a vintage piece. Love how the dark wax nestled into the nooks and crannies. The lesson from this makeover - don't underestimate the power of your own instinct. What do you think? I know chippy furniture isn't for everyone. Should I have kept going with what my head was telling me or did I do the right thing by listening to my gut? 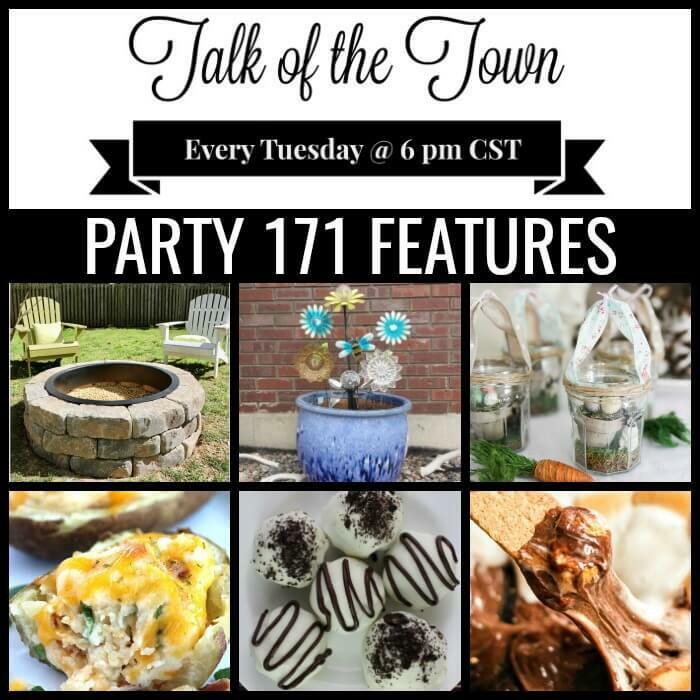 I'd love to hear about it in the comment section below. Even better, I'd love to hear your stories about when you didn't listen to your gut when working on a project and regretted it later. 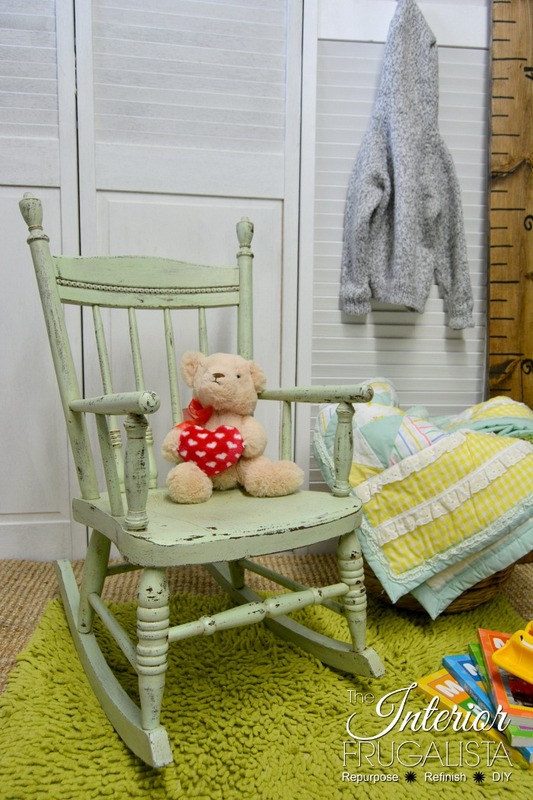 Here's another similar but adult size rocking chair that I gave a Rock'n Green Makeover for my grandson's nursery. 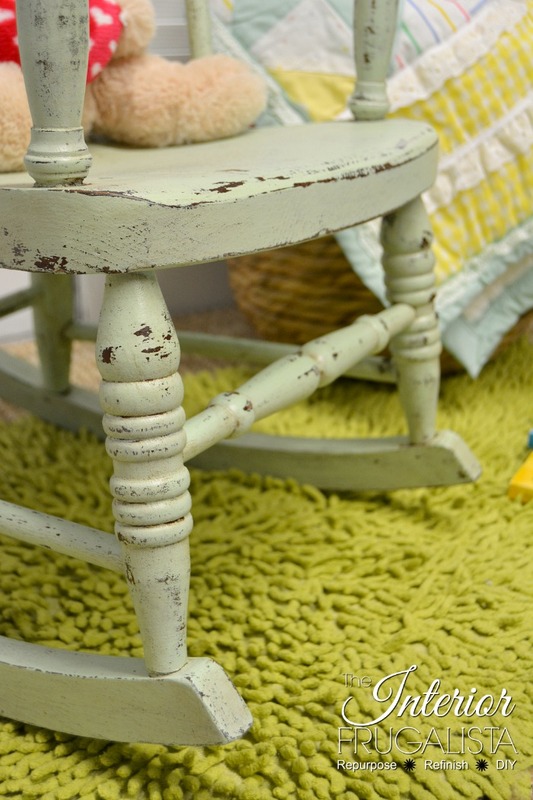 If you're a fan of the popular farmhouse trend, here is some more Farmhouse Inspiration that you may enjoy. 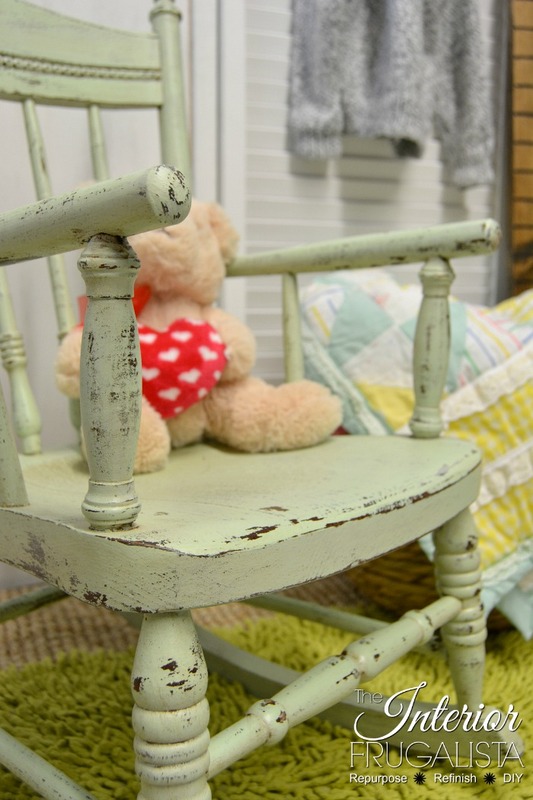 If you liked the chippy farmhouse look of this kids' vintage rocking chair I'd be so grateful if you shared it with a friend and/or saved it on Pinterest.